Fans have been convinced since earlier this year that we are getting a new Splinter Cell game soon, yet, E2 2018 has since come and gone, and Ubisoft has yet to reveal or even tease a new game starring Sam Fisher, though, it did say that it still wants to make another game in the series. Fast-forward to this week, and Ubisoft has once again reaffirmed it has plans for the series, but like previous tantalizing teases, the French company is being vague about its commitment. 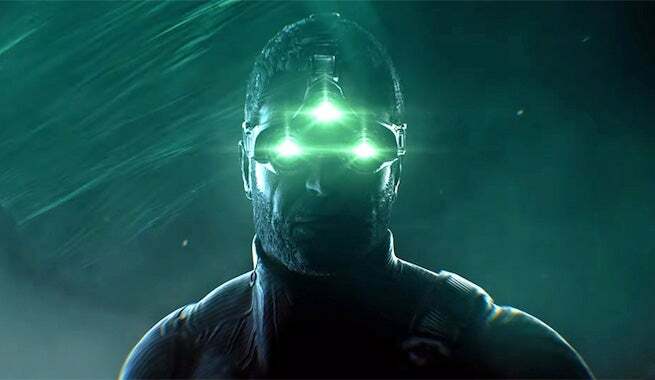 While speaking to GameSpot, Ubisoft CEO Yves Guillemot repeated previous sentiments about the Splinter Cell series, noting that, eventually, we will see something from it, but for now there are still no details to share. "So I will disappoint you because I don't have an answer to give you exactly, but each brand we have, and each character, we want them to live in the long-term, so one day you will see something, but I can't give you more details." For those that don't know: the talk of Splinter Cell returning gained steam last year when Guillemot revealed that Ubisoft was in the process of receiving pitches for a new game in the series. This was back in June 2017. In the build-up to E3 2018, more and more evidence mounted that pointed to an imminent return, but as mentioned above, E3 2018 was Sam Fisher-less. Yet, that doesn't mean there isn't a Splinter Cell game in development right now. If there is, expect to see it at E3 2019, if it is indeed in development. If it doesn't rear its head by then, it may be possible there isn't any Splinter Cell being developed. But this seems unlikely. And if it is the case, it's only a matter of time before there is. Personally, I would love to see a new Splinter Cell game, maybe even a soft reboot. And with Metal Gear shelved, there has never been a better time for the series to shine and thrive. What do you think? Let us know in the comments below.